In Waukee, students in grades 8-12 working through the FIRST Tech Challenge are in the home stretch of their robotics season. Wednesday after school, teams of three to five arrive in waves at the Waukee Innovation & Learning Center (WILC). One of Waukee’s teams, the Circuit Breakers, joined three other Iowa teams at the 2018 FIRST Tech Challenge World Championship in Detroit — competing against students in countries like Germany, India, Romania, South Korea and from schools across the U.S. In fact, more than 30,000 youth attended FIRST’s two championship events in Detroit and Houston that year. The Circuit Breakers placed 15th out of 64 division teams that year, and came home with the Rockwell Collins Innovator Award for their robotic design. “They were ninth graders last year, so they’re tenth graders this year. 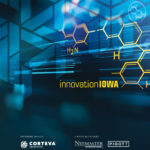 They are very good,” said Luke Peterson, one of three FTC coaches at Waukee. Before getting back to World’s in April, though, students had to advance through the League Championships. Now comes the Super Qualifier Tournaments. And then the FTC-Iowa Championship in late February. In the meantime, there’s a lot more to do then just tweaking robot code, Peterson said. FTC teams start the season in September with the same challenge schools internationally are issued: design, build, program and operate robots who can perform the tasks required by FTC’s floor game challenge within a 12×12 field. Four out of seven Waukee teams advanced out of the district qualifying event earlier this month, and those students are refining their robots in preparation for the qualifying tournament hosted in Sioux City in February. “There were eight teams that advanced from that tournament, and Waukee had four of them, which was pretty cool. We’re one of the largest robotics programs in the state, actually,” Peterson said. FTC students – around 90 in Waukee’s program – build their own business partnerships to support their team. Robotics needs funding, and the students learn to manage team affairs writing sponsorship drafts and building mentor relationships, both with community tech leaders and parents willing to pitch in and help students problem solve. “I try and tell them all, you don’t need to know anything to be a mentor for this. You just have to be an adult, because you’re working with a team of students that need to know how to be on task and how to look up stuff,” Peterson said. Waukee has hosted FTC teams for its students for the last eight years. 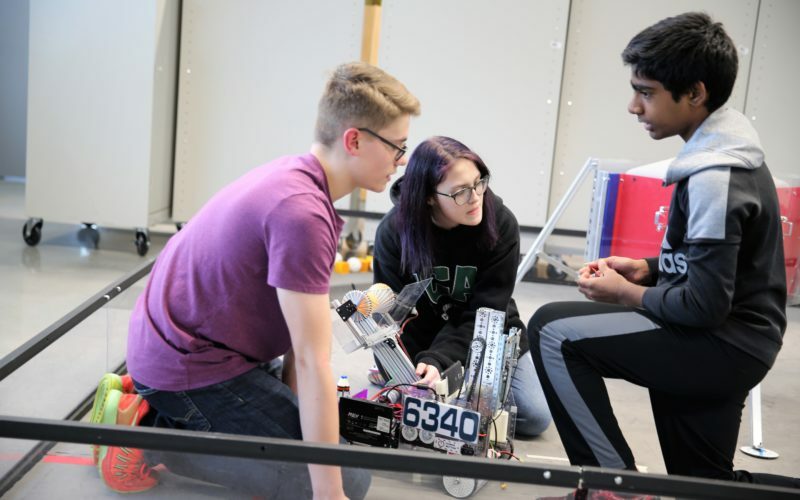 The district moved all of its robotics teams into WILC this year for practice, which Peterson said has paid off for the students. “They’re getting to see really good robots all the time. There’s no complacency, they’re constantly pushing each other to get better and improve,” he said.